In the earliest days of the League, programs for the members centered around gathering to share ideas and to spend time together. 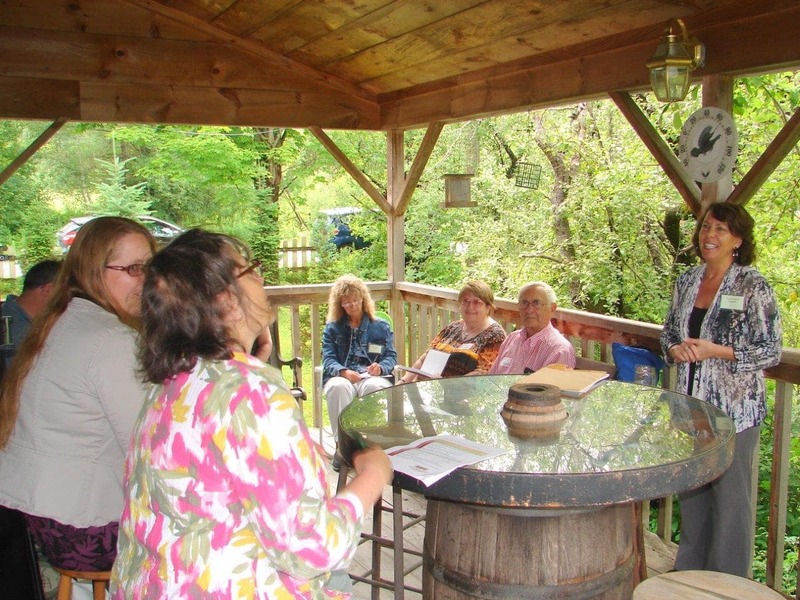 In 2015, in efforts to build a stronger community and bring LVW back to "its roots," a special summer program planning committee worked to orchestrate a day-long retreat that paid homage to LVW members while still being open to the public. Purposefully named ‘Into the Words,’ playing off the hit-musical and movie "Into the Woods," the planning committee wanted to create that feeling of getting lost in the thing that you love (words) with others who love the same thing (writers). For the inaugural event, the day was comprised of members showcasing their skills and talents by leading a variety of half-hour and hour-long sessions (from craft to publishing to the writing life) and exhibiting their work in a designated Member Showcase area. There was a lunch break that featured a 10-minute play, Fish and Game, written by member, Marge Sharp, and a reading from our host, member, poet, and children’s book author, Jerry Johnson. Later in the afternoon, following more sessions, LVW offered an ice cream and watermelon social complete with music, written and performed by another member, Mark Pendergrast. Throughout the day there was a fundraising tag sale and a storytelling open-mic lead by member, Recille Hamrill. And this summary only scratches the surface of what kind of energy and enthusiasm the day brought and what level of inspiration was felt by all. The retreat was a HUGE success and everyone raved about it at the end of the day, so we have made it a new biennial tradition to happen during the years we are not hosting Writers Meet Agents. The next "Into the Words" will be in July of 2019.